I have received numerous requests from UDEMY to come to their website and purchase some of their training. While this hadn’t always appealed to me (seemed like perhaps they might be trying a bit too hard), I decided I’d give it a try. 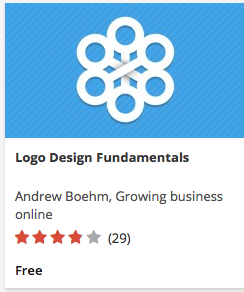 While the training course I felt might be most worth my while was still selling for roughly $45, I was able to purchase this second piece of training a few weeks ago at the same time I purchased: Logo Design Fundamentals by Andrew Boehm of Growing Business Online. This course was much more extensive than the first, with 89 lectures encompassing software, research, slides, and an additional 4.5 hours of video content. Materials came with downloadable materials which were required for the final assessment. The downloading of materials for the final assessment seemed to be met with displeasure, although moderators noted that might change to an elected component. I was pleased with the course and could see how beginners might really sink their teeth into this. 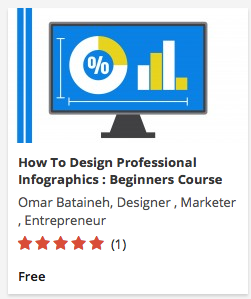 This entry was posted in Certification, Professional Development and tagged design, graphics, infographics, professional, udemy. This course consisted of 15 individual lectures on design topics such as sketching, font selection, illustrator CC use, working with clients, etc. It carried over 1.5 hours of video materials and audio lectures, and covered some great ground. This entry was posted in Certification, Professional Development and tagged andrew, andrew boehm, boehm, design, design fundamentals, dockery, logo, logo design, logo design fundamentals, tyler, Tyler Dockery, udemy.